My blog's been quiet because the real world calls. I really enjoyed showing my cousin A around DC and a little bit of Maryland. Here's one of my favorite photos of the day. I wonder if this even comes close to Mr. MLK's view that day when he said, "I have a dream..."
Great shot! Have a great day! Wishing you a very nice day out there! It must be an awesome feeling to stand across from it and just look at it. Ah, one of my favorite places, too!! Terrific capture and it does say it all!! Enjoy your weekend!! 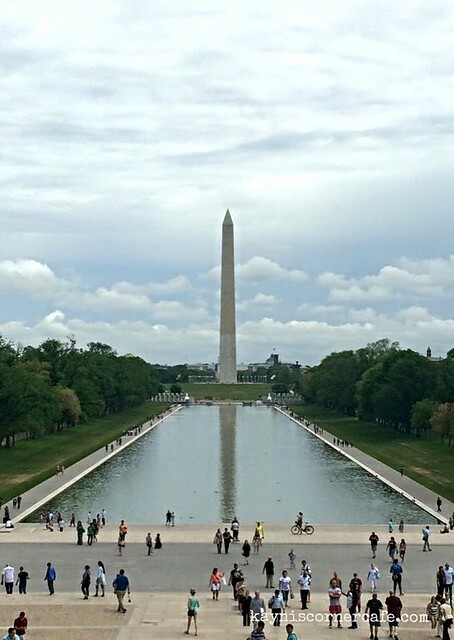 A wonderful view and shot of the monument. Happy skywatching, have a great weekend! Fantastic and iconic. I would love to see that for myself. Happy weekend to you. I love visiting D.C. It's so full of history and beautiful monuments and buildings. i hope you have a gr8 weekend ahead. btw, was the abe lincoln monument at the back, from where you took this shot? This is great! I've never seen the Washington Monument with such a pretty sky behind it! Lovely shot of an iconic monument.